From, the system, to see if everything is in place – to taking care of a possible cracking technique. As an example in case of force attacks the “captcha forms” are placed to prevent such methods. Also, what power the computer of hacker is using? For a general password hacking, it involves a considerable force to go thru the website admin panel or maybe the login page – where the server is being aroused with tons of variations for accessing the system. Subsequently, for this kind of hacking, a CPU is needed. In fact, even the speed of cracking process depends on how fast your CPU is – the faster your computer is going to be, the quicker your cracking process should be. Nevertheless, to prevent this kind of things it is good to have a Cybersecurity Professional. But the fact is, there are many vulnerable websites one can force into with the help of password hacking software. Similarly, password cracking is a process of recovering or guessing the password from data transmission system or stored locations. 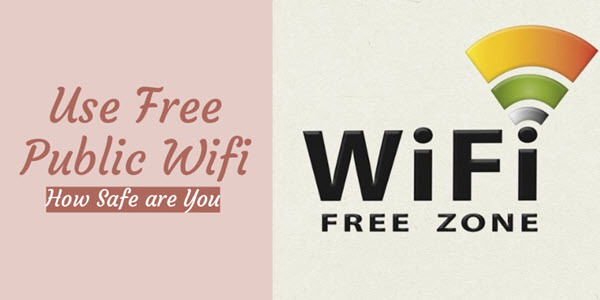 It can be utilized to retrieve a forgotten password or get a password for unauthorized access. The big software firms usually use it to check the security of their applications in penetration testing. These password crackers also are proof that your password can be hacked too. Disclaimer: SpyAdvice is publishing this list only for the educational purposes. We do not promote unethical or malicious practices at any rate. This fantastic program is one of the top password cracking tools when it comes to brute force attack. 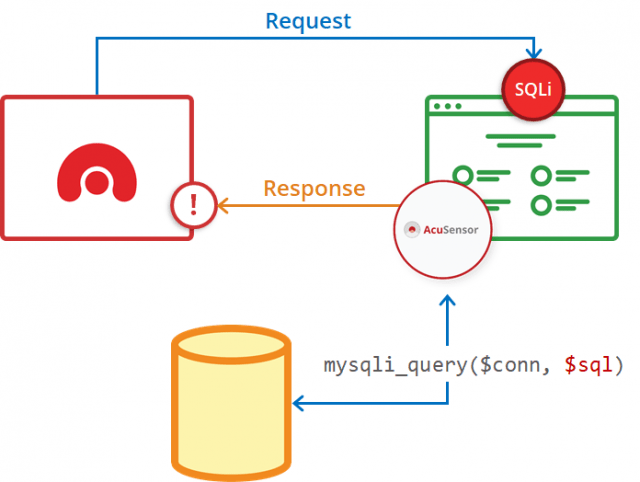 One of the reasons behind its popularity is the ability to control what is being submitted to a web server. This tool is not designed to identify the right response; such as hitting and catching passwords or usernames. Instead, it tells you to provide a “baseline”. More precisely the content of the baseline and the content of the response, and then they are compared to generate end-results. Yes, the Crowbar is a free password cracker. Compatible with all Operating Systems? The software works only on Linux operating systems. For what purposes Crowbar is often used? This software is usually used for penetration tests and created to support protocols which are not supported by other kinds of brute forcing tools. You need to know that this tool supports VNC key authentication, SSH private key authentication, open VPN and Remote Desktop Protocol with NLA support – at present. Aircracker is a password cracking tool made of a WEP, WPA/WPA2-PSK cracker, packet sniffer, an analysis tool for 802.11 wireless LANs and a detector. The Aircrack works with a wireless network interface controller which has a driver that supports raw monitoring mode. Also, it can sniff the traffic from 802.11a, 802.11b, and 802.11g. Another new attack was included by a team from the Darmstadt Universty of Technology. Given that, it has the purpose to decrease the number of initialization vectors(IVs). They are essential to decrypt a WEP key in the 0.9 release. This free password cracker analyses the encrypted password packets at first and then breaks the passwords using its stealthy cracking algorithm. Yes, as noted above, this tool is free, and you will find many tutorials on “how to install Aaircrack-ng” over the internet. 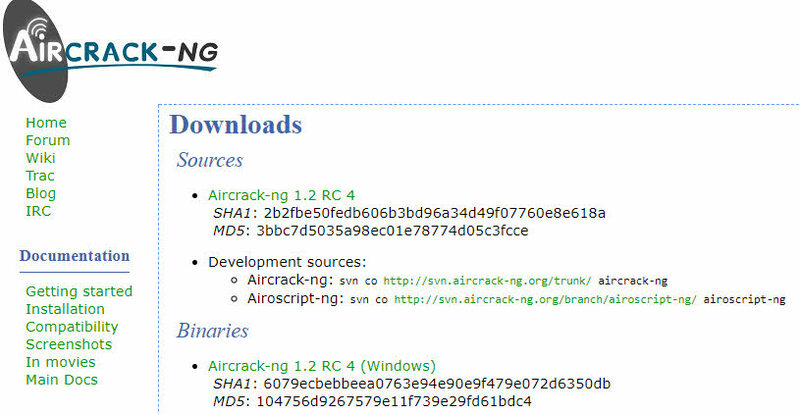 Aircrack works on OSX, Linux, Android platforms, FreeBSD, Wubdows, OpenWrt, Zaurus, and Maemo. What are the typical uses of Aircrack-ng (ng stands for new generation)? This cool tool is focused more on Wifi security where it does monitoring that captures packets and exports all the data into text files for processing by the third-party tools. Moreover, it handles fake access points, de-authentication, and replies to attacks using the packet injection. It can also test driver capabilities and wifi card thru injection, capture and cracking of WPA PSK(WPA and WPA 2) and WPA. L0phtCrack is a password cracker and recovery program. It is a perfect password cracker for Windows 7 and also for other windows systems. It works by obtaining the hashes from stand-alone primary domain controllers, networked servers, Windows workstations and Active Directory. L0phtCrack has many ways of generating the password guesses, and hence, is a standard tool for cracking windows passwords. The program utilizes rainbow tables, dictionary attacks, hybrid and brute force attacks. It also has a schedule routine audit functionality that lets you perform the password scans at a time which is convenient for you. No, unfortunately, L0phtCrack is not a free software – whereas it offers a 15-day free trial. There are three different versions of it from which you can choose, the three versions of L0phtCrack include Administrator, Consultant, and Professional edition. No, available only for the Microsoft Windows users. What are the most common uses of L0phtCrack? Mostly, this software is used to recover lost Microsoft Windows passwords. Besides, it is perfect for testing your passwords’ strength. 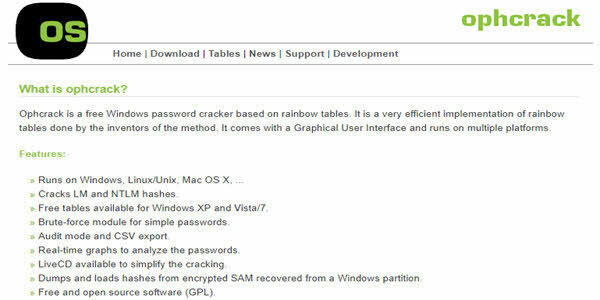 Ophcrack is one of the top rainbow-tables based password cracker. It can import hashes from different kind of sources and formats included dumpling directly from SAM (Security Account Manager) files of the Windows. You can crack windows computer passwords with it, within just a couple of minutes. Ophcrack does not leave any traces behind it as the app is available as lie CD. You only use it on the target computer and then take out – simple. Yeah, it is free to use. This password cracker works on MAC OS X, Microsoft Windows, and Linux. What are the most often uses for Ophcrack? The primary purpose of this password cracker is discovery. If the password is a simple one, it can find that out within a few minutes. If you purchase some additional rainbow tables; you’ll be able to crack more complicated passwords. It is a hugely parallel, modular, speedy and login brute-forcing tool. It supports FTP, CVS, AFP, NCP, MYSQL, NNTP, IMAP, HTTP, MS SQL, POP3, pcAnywhere, PostgreSQL, SSH, SNMP, SVN, rlogin, SMTP, SMB, rsh, VNC, Telnet, and VmAuthd. Yes, the app is free for personal use. The software works on MAC OS X and Linux operating systems. What are the most often uses for Medusa? 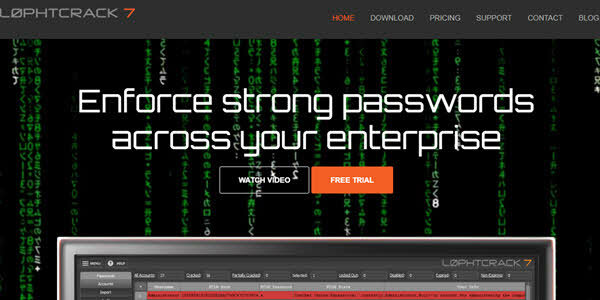 This tool has the focus on cracking passwords using brute force attacks. Medusa is one of the very few parallel password cracking tools that are available on the market. Mean, it can perform simultaneous attacks where you can crack passwords of multiple email accounts (for example) at a time rather than just one. Besides this, it can carry fast attacks over a large number of protocols which include a database, https, telnet, HTTP, and smb. FSM or known as SolarWinds Firewall Security Manager is a best-suited security solution for companies and organizations that need reporting and management of their security devices. Both, the configuration and set-up of this tool are straightforward – and you can add multiple clients to grant various administrators access to the system. No, you will need to pay for it – but it has a free trial though. A well-known company offers the tool and the firm also provide many other security-related programs. No, works only on the Microsoft Windows. 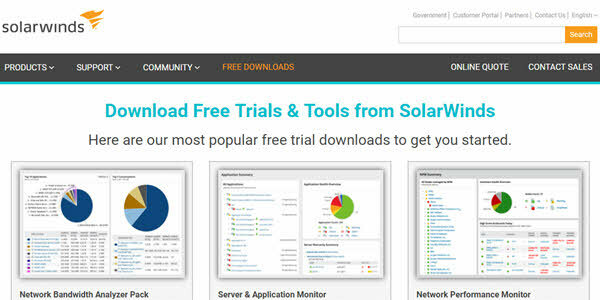 What are the most often uses for SolarWinds? 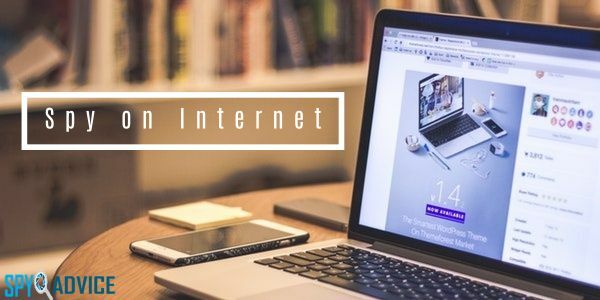 Some of the uses of this tool include router password decryption, network discovery scanners, TCP connection reset program and SNMP brute forcing cracker. Apart from it, the provider of SolarWinds password cracker also offers one of the easiest and fastest router configuration upload/download applications just to let you know. Wfuzz is a password cracker online, which is Python-based and a “brute forcer” you can say – as it is designed to brute force the apps. This tool supports multiple techniques and methods to expose the vulnerabilities of the targeted web application. With Wfuzz you can audit the parameters, discover unlinked sources (like directories, files, header, etc. ), forms with POST parameters and brute forcing GET, and authentication. You can also identify the various type of injections using Wfuzz; such as XSS Injection, SQL Injection, and LDAP in the web applications. The software works on MAC OS X, Linux and Microsoft Windows. What are the most common uses of Wfuzz? 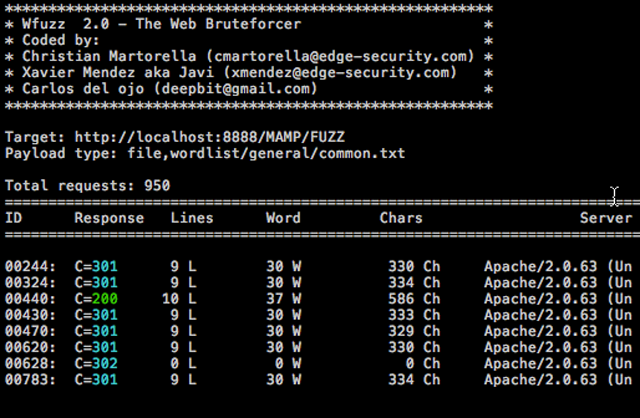 Wfuzz is a web application password cracker that lets you crack the passwords via brute force. One can also use it to find out the hidden sources such as servlets, scripts, and directories. 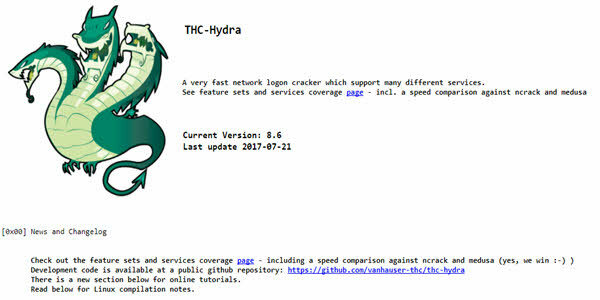 Continuing with our list of password crackers, another one among the top password hacking tools is THC Hydra (also known as just Hydra). It can smoothly run rapid dictionary attacks against more than fifty protocols, at present. Some of the protocols it supports include Cisco AAA, Cisco auth, CVS, Firebird, AFP, Cisco enable, HTTP-GET, HTTP-HEAD, HTTP-PROXY, FTP, Asterisk, HTTPS-FORM-GET, HTTP-FORM-GET, and HTTP-FORM-POST to name a few. Subsequently, this a stable and fast Network Login Haking Tool that uses either brute force attacks or dictionary to try different kinds of login combinations and passwords on the target web page. The best thing about this tool is that you can add more modules into it with ease, and ultimately, enhance its features. This tool works on MAC OS X, Linux, QNX, Solaris, and Cygwin/Windows. What are the most often uses of THC Hydra? This tool is often used as the parallelized login cracker that supports many protocols to attack. The new modules are elementary to add, and you can gain unauthorized access in a remote way to the target system. What is all about RainbowCrack? 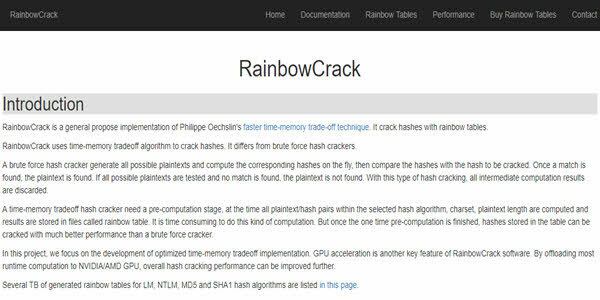 RainbowCrack is a unique password cracker when compared to many similar tools on the market, as instead of traditional brute force attacks- it uses an extensive scale time memory tradeoff process. You might be wondering what the time memory tradeoff is, right? Well, in summary for you, it is a computational process where all the plain text, as well as hash pairs, are calculated via a selected hash-algorithm. The results get stored in a rainbow table, as soon as the computation is finished. The process of table creation is time-consuming, but you will be able to crack a password way faster compared to brute force tools – as soon as the table is ready. The software works on MAC OS X( for this you need a mono or maybe CrossOver), Linux and Microsoft Windows. What are the most common uses of RainbowCrack? This password cracker is usually used to crack hashes using rainbow tables making the cracking way more comfortable, and faster – ultimately. 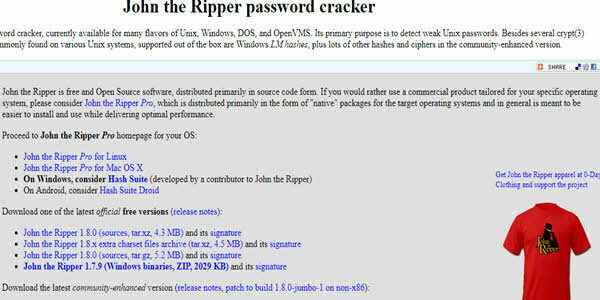 John The Ripper is another popular free open source password cracking tools, and for many good reasons. It is a straightforward to use but useful tool, you primarily can detect the weak passwords with it. The program is a preferred choice for many ethical hackers, thanks to its ability to automatically detect the password hash-types. It won’t be wrong to say that John The Ripper is a suite made by combining multiple password crackers; as it has the features of a customizable password cracker. Yes, but has a pro version too – that posses more effectiveness and better features (obviously). The software was initially developed for Unix OS, but now, runs on over 11 types of operating systems in total. Some of the supported operating systems include Win32, OpenVMS, Unix, DOS, Linux, and Mac OS X. What are the most common uses of John The Ripper? It won’t be wrong to name John The Ripper as “an ultimate password hacking tool”, and it is one of the fastest password crackers that I have experienced. It is a very known password cracker tool able to handle multiple tasks. All in all, Cain and Abel can merely sniff in the networks and crack encrypted passwords by just using a dictionary attack. It records the VoIP conversations and has brute attacks feature too. Yes, the app is free for your personal use. What are the most often uses for Cain and Able? The app doesn’t exploit the bugs or other kinds of vulnerabilities. It just covers the security weakness of the protocols to crack the password. On the whole, this software is perfect for penetration testers, forensics staff, and network administrators. The company claims to be the fastest and also the most advanced password cracker software. The program can perform in both GPU-based and CPU-based environments. HashCat supports many algorithms including Microsoft LM hashes, SHA-family, MD4, MD5, MySQL, Unix Crypt, and Cisco PIX formats. It can perform various kinds of attacks including combinator attack, fingerprint attack, brute force attack, dictionary attack, permutation attack, hybrid attack, PRINCE attack, table-lookup attack, and mask attack. What are the most common uses of HashCat? You can perform different kinds of attacks with it such as combinator attacks, hybrid attacks, brute force attacks, permutation attacks, table-lookup and many other. It is an open source password cracking tool which is highly appreciated (and used) by the Apple security experts. DaveGrohl has a modern object-oriented code base and is more useful for developers and OS X users. You can crack a password within a couple of minutes with it; thanks to its strong incremental and dictionary attacks. What are the most often uses of DaveGrohl? With tons of help from the incremental and dictionary attacks, you can get your hands on the password of someone – in just a few minutes. You’ll be able to attack different computers because of the distributed mode. 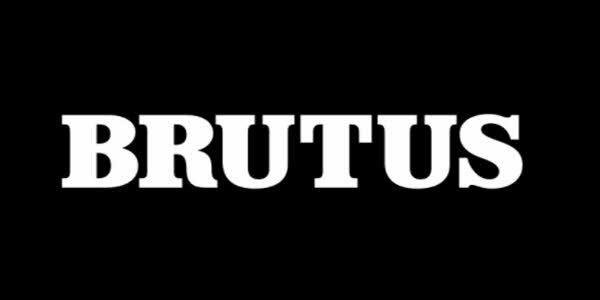 Released back in the year 2000, Brutus is known to be a fast and flexible software that is being used for remote password cracking. This software guesses the password for you by applying a few different permutations alongside using a dictionary. The best thing I liked about this password cracker is its ability to connect sixty targets simultaneously, which is possible because of the multi-stage authentication engines it supports. What are the most common uses for Brutus? This tool is used to crack the windows passwords. 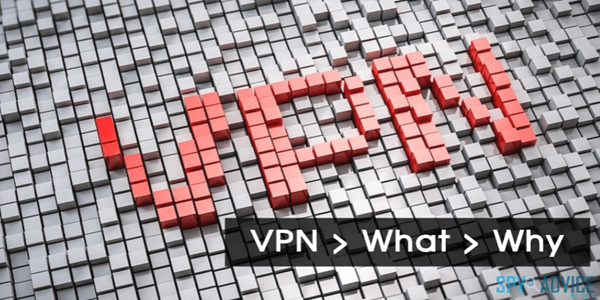 You can make use of different kinds of network protocols with it such as NNTP, FTP, IMAP, HTTP and many other. You also can make your very own authentication type on it. Brutus also comes with load and resume options. 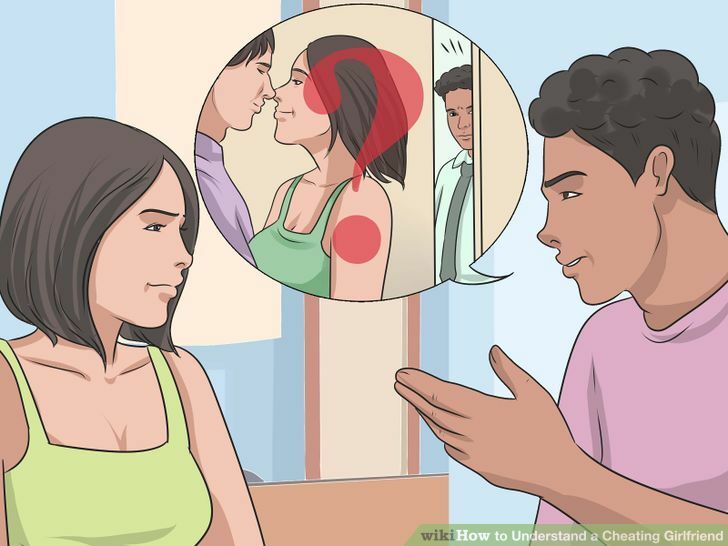 In this way, the attack process can be very easily paused when needed, and you can resume that when you desire. Even though this program hasn’t been updated by the developers for many years now, but it still works and is one of the best password guessers out there. Pwdump password cracker can extract NTLM and LanMan hashes from a target in the Windows. In case Syskey is disabled; this tool can still extract the information. Subsequently, software updates alongside extra feature of the password histories display – if the history is available. Besides, extracted data is going to be available in the form that would be compatible with the L0phtcrack. The software works only on Microsoft Windows; works best only on Windows XP and 2000 (as far as my tests are concerned). What are the most often uses of Pwdump? This password cracker can extract LanMan, NTLM AND LM hashes from the computer you are targeting. Indeed, it is perfect if you disable Syskey so that the software can extract in this kind of conditions. It also has a password history available at your service. Lastly, you need to know that the software has been updated to Fgdump, just recently – since Pwdump doesn’t work when the antivirus is on. Undoubtedly, nowadays we have to stop relying on traditional passwords – especially the companies. You have to go to the next level when it comes to securing something. Few ideas can be MFA (multi-factor authentication), biometrics, and SSO (single sign-on) systems. In fact, Verizon reported that 81 percent of hacking results from either weak passwords or the stolen ones. Above all, you perhaps are wondering how hackers crack the passwords. Well, I’ve thought of giving you a short list of ideas about that. But first up, please note that story is a bit different in each case – they use a few various techniques over individuals, companies or the general public. Still, below I’ll provide you with some general ideas as to how precisely the hacks crack or hack the passwords. Attackers can get their hands over a hashed password file pretty simple, by using “rainbow tables”. In this way, they can decipher the hashes using just a few simple searches. They often buy some special hardware too, made for password cracking. Besides, the hackers even rent a space from public cloud providers as like Microsoft or Amazon. Moreover, they also rent botnets or build their very own to do all the processing. And finally, these days even if a hacker is not a password cracking expert himself – he can outsource one with ease. Moving on, if you ever wondered how hackers attack big players – the massive public sites. They use botnets to use a different kind of combinations passwords and logins. Moreover, they use the lists of login credentials that they (or any other hacking group in their network) stole from other records of passwords and sites that usually people use it. When an attacker desires to target an individual, he, first of all, checks if the target user uses credentials that were stolen from any other site already. Some of the times a user could use the similar password or maybe the very same password on a bunch of different sites, which makes their (the hackers) job easy. Moreover, if they find an internal enterprise app or a site that doesn’t have any login limit. In this situation, they also use brute-force to hack the password. Lastly, on such sites, they also use dictionary lookup tables and password cracking tools to achieve their target of password cracking. To conclude, password cracking is “definitely” not a simple process that everyone can complete. You need to inform yourself the right way to be successful at it, and of course, use the right tool. In the article, I covered only the top 15 resources that could help you in your future attempts at password cracking. 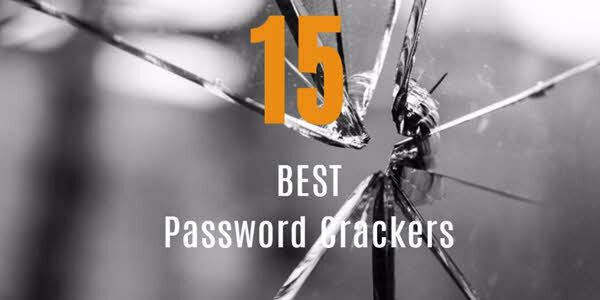 And of course, these password crackers also are proof that your passwords can be cracked too. So better set a complex one, and do not use one password on all the sites. Finally, from here on, it is up to you how you use these password cracking tools – right way or the bad. The use of any of the password cracker covered above is at users discreet, yours discreet. You can either use these tools to check the security of your company apps or website against such programs and then try to fill those security holes up to enhance the security of your apps. Or one can use these password cracking programs to crack the password of someone else and access their data or information. As noted above at the beginning of the article, we do not encourage the use of any of the tool listed for any malicious act. In the end, what is your favorite password cracker? If you used any of these tools or have an opinion regarding the article, please feel free to drop your feedback via the comments section available below.